I learned this week that the information security world lost another of our lights in 2007: Bob Baldwin. This may have been more generally known, but a few people I contacted were also surprised and saddened by the news. His contributions to the field were wide-ranging. In addition to his published research results he also built tools that a generation of students and researchers found to be of great value. These included the Kuang tool for vulnerability analysis, which we included in the first edition of COPS, and the Crypt-Breaker’s Workbench (CBW), which is still in use. What follows is (slightly edited) obituary sent to me by Bob’s wife, Anne. There was also an obituary in the fall 2007 issue of Cryptologia. Robert W. Baldwin of Palo Alto passed away at home with his wife at his side on August 21, 2007. Bob was born in Newton, Massachusetts and graduated from Memorial High School in Madison, Wisconsin and Yorktown High School in Arlington, Virginia. He attended the Massachusetts Institute of Technology, where he received BS and MS degrees in Computer Science and Electrical Engineering in 1982 and a Ph.D. in Computer Science in 1987. 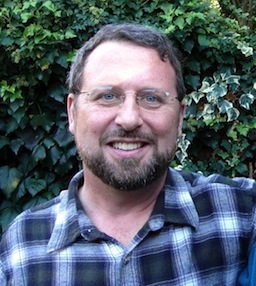 A leading researcher and practitioner in computer security, Bob was employed by Oracle, Tandem Computers, and RSA Security before forming his own firm, PlusFive Consulting. His most recent contribution was the development of security engineering for digital theaters. Bob was fascinated with cryptology and made frequent contributions to Cryptologia as an author, reviewer, and mentor. Bob was a loving and devoted husband and father who touched the hearts and minds of many. He is well remembered by his positive attitude and everlasting smile. Bob is survived by his wife, Anne Wilson, two step-children, Sean and Jennifer Wilson of Palo Alto and his two children, Leila and Elise Baldwin of Bellevue, Washington. He is also survived by his parents, Bob and Janice Baldwin of Madison, Wisconsin; his siblings: Jean Grossman of Princeton, N.J., Richard Baldwin of Lausanne, Switzerland, and Nancy Kitsos of Wellesley, MA. ; and six nieces and nephews. In lieu of flowers, gifts in memory of Robert W. Baldwin may be made to a charity of the donor’s choice, to the Recht Brain Tumor Research Laboratory at Stanford Comprehensive Cancer Center, Office of Medical Development, 2700 Sand Hill Road, Menlo Park, CA 94025, Attn: Janice Flowers-Sonne, or to the loving caretakers at the Hospice of the Valley, 1510 E. Flower Street. Phoenix, AZ 85014-5656.